The day you become a mother is the most amazing feeling but at the same time the scariest. You have some one else to worry about whose needs come before yours and at times this can leave you feeling lonely. Meeting other mothers who know exactly what you are going through, someone you can share your experiences with, worries and somebody who understands what it is really like to survive on a few hours sleep makes you feel normal again. 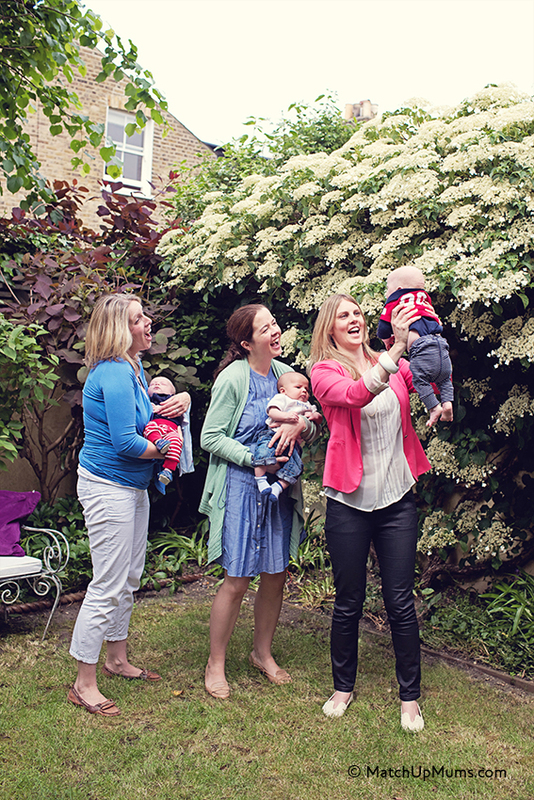 Meeting other mums is something all mothers need, so you can imagine the excitement when we came across Match Up Mums. Match Up Mums are the only mummy meet up service that actually match up mothers profiles with other mothers of a similar profile. 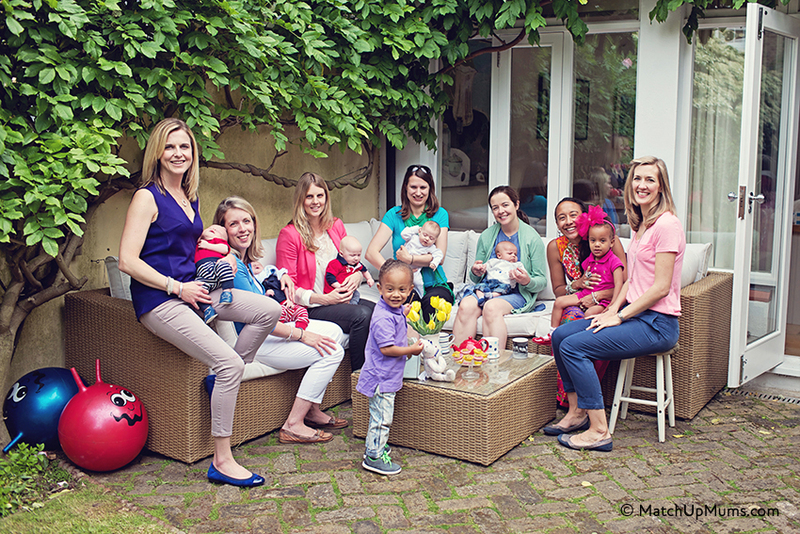 Unlike other mummy meet up groups who only match up mothers by their children’s birth date. In simple words its like an online date site but for mothers. Its smart and genius. 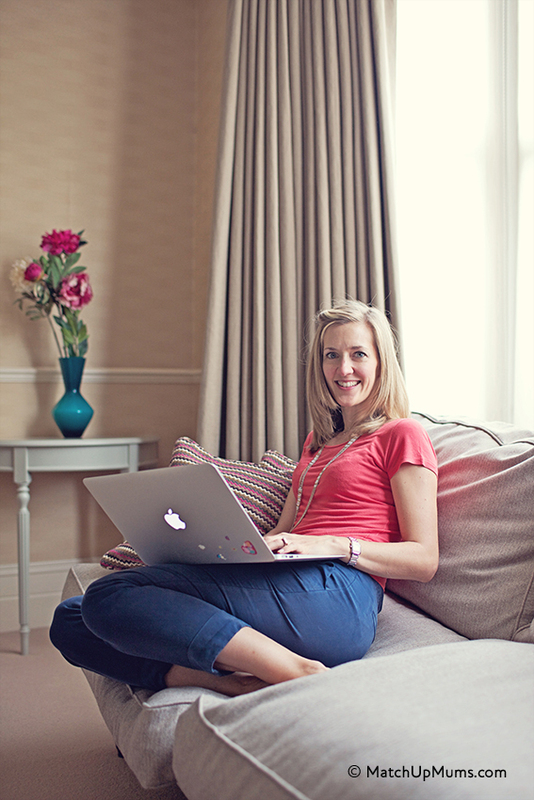 So of course being mummy entrepreneurs we had to interview Megan Butler the founder of Match Up Mums to find out more. RM: Tell us about Match Up Mums? 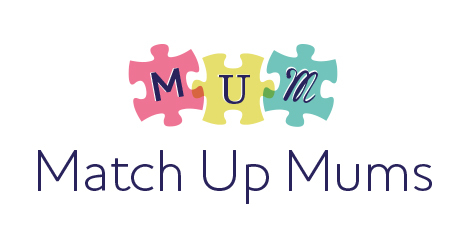 MB: Match Up Mums is the UK’s first profile-matching service for mums. We profile-match groups of mum friendsbased on due date or baby’s age, location, interests, attitudes, professionalbackground, likes and dislikes – and more. 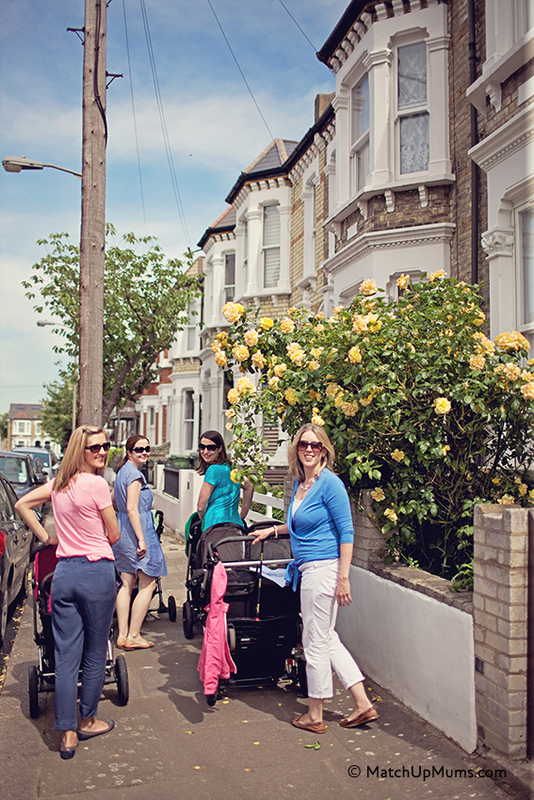 We launched last summer andhave introduced over 80 groups of mum friends, with new groups forming all thetime. RM: What made you think of the idea to set up Match Up Mums? MB: I first had the idea after talking to my pregnant sister-in-law about how to meet mum friends – she wanted to do a hospital course which was free but was considering also doing an additional antenatal course just to meet mum friends in her local area. I explained how “hit and miss” the traditional antenatal courses could be as a way of making new friends, despite the huge cost. The reason they are hit and miss is that they are only based on due date, not personality or interests, so it is down to luck whether you meet like-minded people there, and the opportunities to get to know people properly at the classes can be very limited. I decided there must be a better way, and looked into applying the same technology as that used by dating sites – and if you look at our feedback you can see that it works equally well for groups of mum friends! RM: What advice would you give to mums who want to set up their own business? MB: Much like having a baby, nothing really prepares you for it until you actually find yourself doing it – and it is similarly all-consuming! When you are responsible for everything from social media to the books to the website to PR you can find yourself thinking about 50 different things in any given day. My main piece of advice would be to find a support network of other mums who you can sound off to or spark ideas off each other – I’ve been really lucky and met some amazing women in Wandsworth who are all running their own businesses and we keep each other sane (most of the time) and I’ve also enjoyed going to networking events like Mothers Meetings Business Club. And finally I’d say just do it – it’s never been easier to start a business really, especially online businesses. RM: Who is your inspiration? MB: So many! My own mum went back to work when I was at junior school and my dad worked from home, so bits from both of them I suppose – Mum showing me that women can have their own career, Dad showing me that a kitchen-table based job gives you a way to have lots of family time too. And as I said I have a great group of working mums that I can really count on for sound advice and inspiration. But if my wonderful husband hadn’t got stuck In with the technical side, Match Up Mums would still be just an idea – he has really made it all happen and we’ve made a pretty good team. RM: Tell us a bit about the discounts members get when they join? It was important to us that our members had a way of benefitting from their membership while they waited to get matchedup, and continued to do so even after they’d met their group. We now have a raft of mum and baby-friendly businesses on board, from Lulubaby to JoJoMaman Bébé to babysitting and nursery design services. We recently added up what the discounts could save each member, and it is over £2,000 – not bad considering memberships are a one-off cost of £20-£50 (depending on your groupsize)! 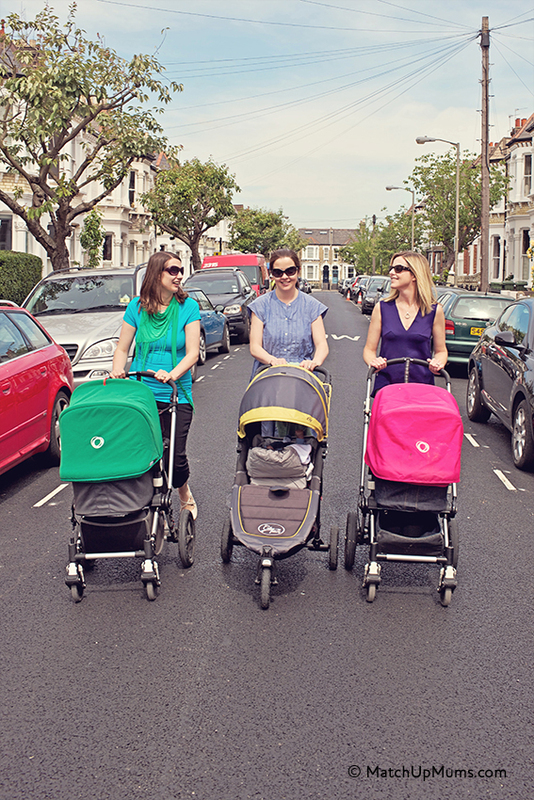 RM: What tips could you give for working mums on meeting other mums? It can be hard enough going back to work after your maternity leave without feeling like you are the only one doing it,and also the challenge of juggling a family and a career is very different to the challenges of being a stay at home parent, so it can be really helpful for working mums to support each other throughout this. Equally it can be a tough slog staying at home and again a support network can be invaluable here too, and this is why we ask the questions in our registration process about your job and whether you have made any firm plans to return, and on what basis,after your leave – and we try to match around this as much as we can (while knowing that such plans are rarely set in stone). So, obviously my top tip for any mum wanting to meet other mums would be to join Match Up Mums (sorry!!) but I’d also say look out for anyone on the platform waiting for the same train as you who might be tipping raisins out of their handbag and picking play dough off their laptop. Chances are, you’ve spotted a kindred spirit. RM: Any tips you can give to mums on how to balance home versus work life? MB: Hmm, I’ll let you know if I ever feel likeI have cracked that one! Does anyone ever feel they get the balanceright? RM: If you could match us up what type of mum would we be matched with? MB: Given your royal status perhaps the Duchess of Cambridge, or there are rumours flying that Charlotte of Monaco is pregnant again… But you’ll have to fill out the questionnaire so I can tell you properly! We match on hundreds of different criteria so it would be somebody local to you, who has a child of a similar age or baby due at the same time,and most importantly someone who is a likeminded mum – maybe you would be interested in similar pastimes, or you share a professional background, or have similar attitudes to life and friendships, or parenting – we take the whole picture into account. If you are looking to find like minded mothers to share your experience of mother hood then look no further and join Match Up Mums. Body by Lara 10 week work out challenge!